Wow, can you believe this is actually TT99? 1. Who Said This to Whom in Which Film? "Close the door! What, were you born in a barn?" Answer: Bob Hope said it to Trigger in Son of Paleface. 2. Who Said This? "Come back! I want to go to Boom-Boom Land!" Answer: Jan Murray in Episode 17 of Car 54, Where Are You? (Rick got part of this one). 8. In the movie Mister Mom, what was on the TV screen when Michael Keaton put his foot through it? 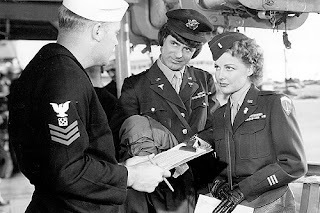 Answer: A scene in which Cary Grant was in drag (in I Was a Male War Bride). 10. What do the films Slap Shot and 10 have in common? 11. Who played the Mexican hotel bartender in 10? 12. Which two recording artists are featured in Sunday in New York? Answer: Rick got Peter Nero, the other one was Mel Torme. This week (TT99) will be short and sweet; I'm gearing up for next week's installment (TT100). You have been warned! 1. Who said this in which film? "Refund!?!? Refund!?!?" 2. What do the films North By Northwest and Gidget Goes to Rome have in common? 3. In which film does Greg Morris play a California Highway Patrol (CHP) officer? Name the three leading stars. 4. What do Lee Marvin and Count Basie have in common? 5. What do Cary Grant, John Ridgely, and Arthur Kennedy have in common? 6. 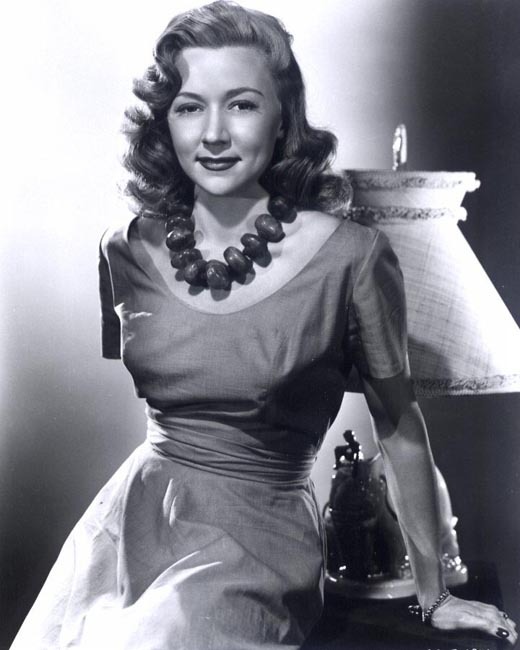 In the film A Woman's Secret, where does Gloria Grahame say she's from? You scare me -- TT100 is your chance to make us all shake in our boots! #3 I think is The Lively Set, with James Darren, Pamela Tiffin and Doug McClure. I should know #6, but I can't bring it to mind. 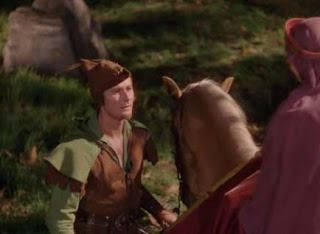 Ah, Robin Hood -- not many guys could look so good in that hat! 1.) Paul Dooley in BREAKING AWAY. 4.) Lee Marvin starred in the TV series M-SQUAD, and Count Basie performed/composed the theme song. 5.) Cary Grant, John Ridgely, and Arthur Kennedy were all in DESTINATION TOKYO. Dorian, You Rock, Becks and Dawn did beat you to the punch on#2&#3 your right on all the rest. BTW I would have taken that they all worked with Delmer Davis, Arthur also in A Summer Place I had Richard Eagan in the first draft of the question , but with Rick being such a Davis Soap Opera freak I had to remove him. Dorian, BTW I did live in Azusa Ca for a few years.